Peterborough's Realtor® Brad Sinclair’s Walk and Talk Blog: What will $14,900,000 buy you? What will $14,900,000 buy you? I reported earlier that the highest price listing in Peterborough was a Stoney Lake listing at $4.9 Million asking price. I was incorrect. 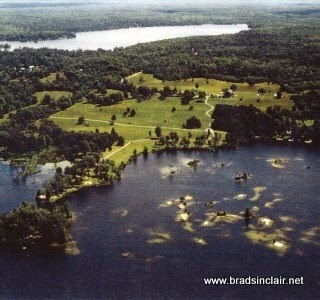 I found a listing at $14.9 Million listed by Mincom Kawartha Lakes also on Stoney Lake. 2250 6TH LINE RD to be exact.